Proudly associated with Comedy Central, the double International Emmy-nominated comedian, is set to return to The Mother City for a two-week run of his brand new show, Puppet Guy, along with his famous puppet comrade, Chester Missing. The much-anticipated, Puppet Guy, is billed as Koch’s most fun show to date, with a roller coaster ride of outrageous puppet characters and off-the-wall comedy ventriloquism. It’s seen as a change of pace from Koch’s previously highly political work on stage – focusing on hilarious characters, funny observations and world-class entertainment. “This show is loads of fun for everyone, not just those who read the news,” says Koch. It’s comedy mayhem as Chester Missing and Koch playfully battle each other: Chester demands equal rights for puppets and to not be put in suitcases. Two feather dusters and a slipper become Hilton, the dancing ostrich; sunglasses and a hoodie become a DJ who actually DJs, DJ Hoodie. If that’s not all, a brand new character has been introduced into the show. You’ll meet Africa’s most dangerous animal: a vegetarian mosquito. From the get go, fans will get a glimpse as to how Koch just wants to get through the show in one piece. Yes, we know he’s arguing with himself. It’s like Parliament. Puppet Guy has already been accepted into the Regina and Winnipeg Arts Festivals in Canada in July this year, and is on the waiting list for a number of other international festivals too. So what makes the show unique? “The show is highly interactive. I use a cell phone, Snapchat and a projector to turn people in the crowd into digital puppets, hilariously teaching everyone how ventriloquism works, and, using ventriloquism masks, I find a member of the audience who actually thinks they’re a lion, voices and hunting skills included,” shares Koch. Puppet Guy kicks off at the Baxter Theatre from 3 – 14 April 2018. Tickets for this much-anticipated show can be purchased via Webtickets at either www.webtickets.co.za, and are priced at R120 each, discounted tickets are priced at R100 each. You made also book tickets directly from the Baxter Theatre via 0861 915 800 or http://www.baxter.co.za. Johannesburg fans are in for a treat too! 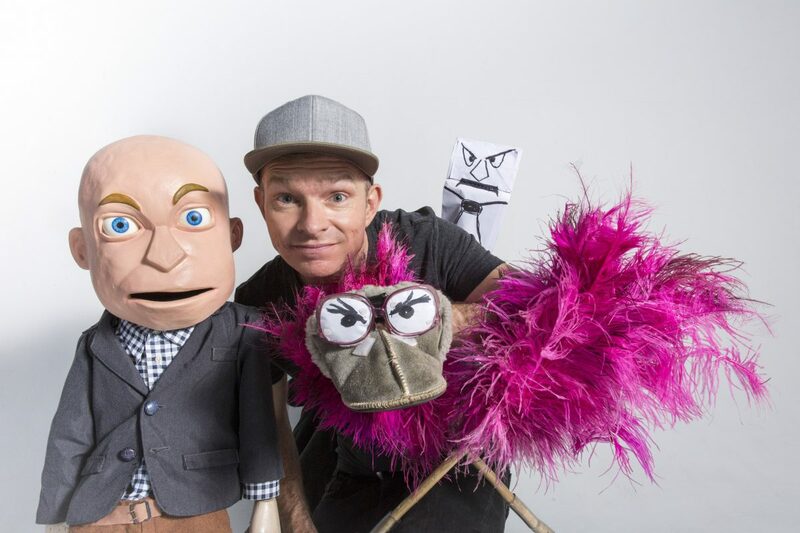 Puppet Guy will run from 25 April – 27 May at the The Studio Theatre at Montecasino. Tickets for the Johannesburg leg of the SA tour can be purchased via Computicket at either www.computicket.com or via Checkers and Shoprite retail stores, countrywide, and are priced at R165 each. Conrad Koch is one of South Africa’s most in demand comedy talents. He combines hilarious comedy with world-class puppetry, and has done so for over fifteen years to local and international acclaim. 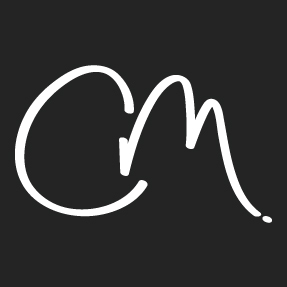 Conrad was the winner of the 2010 Entertainer of the Year award, and of a 2012 Standard Bank Ovation Award from the National Arts Festival. He was a nominee for 2014 SA Comic of the Year, and won The Times Comic’s Pen Award for 2014, and is a double International Emmy-nominated comedian. He has worked all over the world, been featured on local and international television and is a frequent guest at some of South Africa’s biggest comedy events – Mass Hysteria, Blacks Only, the Smirnoff Comedy Festival, the Vodacom Comedy Festival, Metro FM Comedy Experience, etc. His most famous character, Mr. Chester Missing, was a regular on eNCA’s Late Nite News with Loyiso Gola; and his hit one-man shows have received standing ovations around South Africa. In 2015 Comedy Central Africa took him to Just For Laughs in Montreal, the world’s biggest comedy festival, where he recorded shows for both Comedy Central and Canada’s Comedy Network. In 2017 Chester Missing attended the ANC’s elective conference at Nasrec with eNCA as an actual journalist, The Saturday Star describing him there as “justifiably the star of the show”. Conrad’s outspoken political analyst puppet, Mr. Chester Missing, is fast becoming a household name. His television interviews with South Africa’s political elite have received wide acclaim. The use of a puppet to get political players to let down their guards is completely unique. In fact Chester Missing has been asked by the likes of City Press, Natal Witness, Reuters, the BBC, the Mail and Guardian, etc, to comment on political affairs. In 2014 Chester was the first puppet in history to be taken to court, and win. Chester Missing was one of New African magazine’s most Influential Africans of 2014, and You Magazine’s Most Influential People of 2014. Conrad and Chester were the first recipients of the Ahmed Kathrada Foundation’s Certificate of Appreciation for their stance against racism. Conrad has audiences in stitches by talking to himself through a variety of extremely eccentric characters. Self-ridicule has never been this fun. Meet Mr. Chester Missing, satirical political analyst, Hilary, an ostrich made from two feather dusters and a slipper, and DJ Hoodie, a puppet made from a hoodie who actually DJs. The show is highly interactive – audience members hilariously become the puppets.